“What happens in the shrine remains in the shrine,” Macron said to cheers from the crowd. 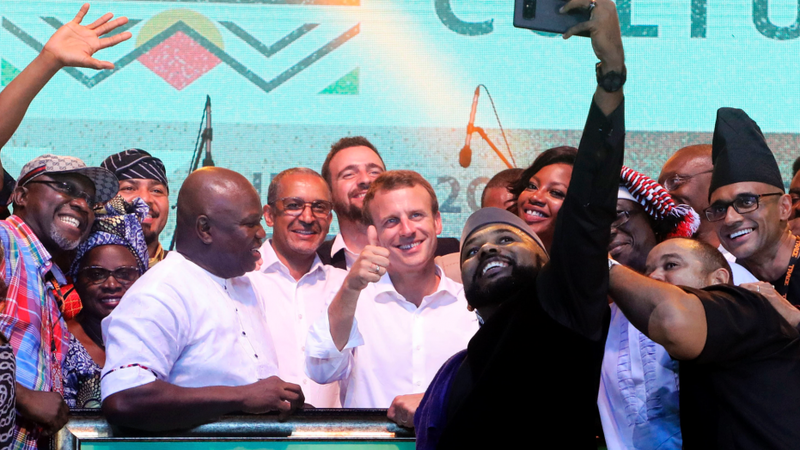 Macron along with Lagos State governor, Ambode and some Nigerian entertainers. “We have to increase the pressure and operations against jihadists. France will remain present in the Sahel as long as necessary,” Macron told reporters. France’s Barkhane in West and Central Africa is its largest overseas military operation. Nigeria, Africa’s most populous country, has faced the Boko Haram insurgency since 2009, with more than 20,000 people killed and thousands abducted.